Around the world, roughly one in four pregnancies worldwide ends in abortion. But the options available to a person seeking abortion differ starkly depending on their location and circumstances. 26 countries still have a total ban on abortion, where many others allow abortion only under very restricted circumstances. Even in some places were abortion is legal, such as Italy, accessing abortion can be extremely difficult due to the high number of providers who refuse to conduct the procedure on grounds of “conscientious objection”. Across the diversity of legal contexts, a person’s ability to access safe abortion depends on a number intersecting factors such as immigration status, age, being part of an ethnic minority, and socio-economic status. The world over, those living in poverty experience the most difficulty accessing safe abortion. Furthermore, one thing that all countries have in common regardless of their laws and policies is stigma. Levels of stigma do vary between contexts, but for the most part those who access abortions still fear being judged, arrested, persecuted, harassed and in some cases even killed. Stigma is self-perpetuating: it results in underreporting of abortions, feeding a societal misconception that abortions are abnormal, and thus furthering stigma itself. Everybody in the world is entitled to bodily autonomy and freedom, without discrimination. Yet we continue to see the human right to safe and legal abortion imperiled by anti-rights actors. 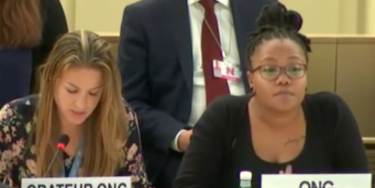 We are currently witnessing an increase in attacks against abortion rights defenders and medical providers, as part of a broader global trend of backlash against sexual and reproductive rights, and towards universal rights and gender justice more broadly. However, we also celebrate our thriving struggles. From the mass “Black Protests” and the halting of the latest repressive abortion bill in Poland, to the international movement for #AbortoLegalYa sparked by the Argentinian tide of green bandanas, and the swell of pro-choice organizing to successfully repeal the Eight Amendment in Ireland – our collective resistance is strong. This September 28, the Global Day of Action for Access to Safe and Legal Abortion, we are highlighting a selection of resources for activists working to further safe and legal abortion and on rights related to gender and sexuality worldwide. Please share these with your networks, and let us know of your key resources! 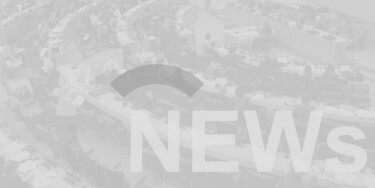 The first Trends Report from OURs is a comprehensive resource outlining the key actors, discourses, and strategies in the global anti-rights lobby. With abortion a key battleground for these actors, it contains a wealth of information on the strategies of ultraconservative actors to roll back women’s right to choose. This toolkit from the Center for Reproductive Rights breaks down the emerging trend to extend a right to life before birth, and in particular from conception. It provides way to respond to this trend, which poses a significant threat to women’s human rights. This 2005 resource from Forward Together (then Asian Communities for Reproductive Justice or ACRJ) provides a deep analysis of the reproductive justice framework. It lays out the differences between the three frameworks of Reproductive Health, Reproductive Rights, and Reproductive Justice, as well as outlining concepts such as “reproductive oppression”. It also charts the creation of the reproductive justice movement led by women of colour in the United States. This factsheet from Astra gives an overview of SRHR in the Central and Eastern Europe region, summarizing the regional context and the regional state of abortion, contraception, sexuality education, and gender-based violence. It also provides 10 recommendations to Governments, international organizations, and other stakeholders. This six-pager from the Sexual Rights Initiative lays out the fundamental right to abortion from an international law perspective; how criminalization leads to the denial of women’s fundamental rights to life, to health, to bodily autonomy, to freedom from torture, and to freedom from discrimination. 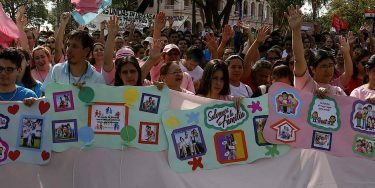 This paper from AWID discusses the health issues and rights violations faced by women in Mato Grosso do Sul in Brazil, where abortion is criminalized. It discusses the history and pitfalls of criminalizing abortion, and uses the Mato Grosso do Sul case study to investigate the numerous rights violations in the region. This interactive map from the Center for Reproductive Rights is updated in real time to keep pace with changes in how countries are protecting – or denying – women’s reproductive freedom. Created in 1998, the map allows you to visually compare the legal status of abortion across the globe. In this factsheet for advocates and policymakers, Ipas explain how The 2030 Agenda for Sustainable Development can be a powerful tool for advancing adolescent girls’ and young women’s sexual and reproductive rights—especially their right to safe, legal abortion. It includes explanations of how specific goals and targets within the development agenda apply to women’s right to safe abortion, and how to hold governments accountable to these goals. This resource from Women Help Women goes into depth about how abortion stigma operates, with a specific focus on countries where access to safe abortion is restricted and on the independent use of abortion medicines. It provides models of advocacy that can address stigma, and features reflection on some of the paradoxes of this area of work. 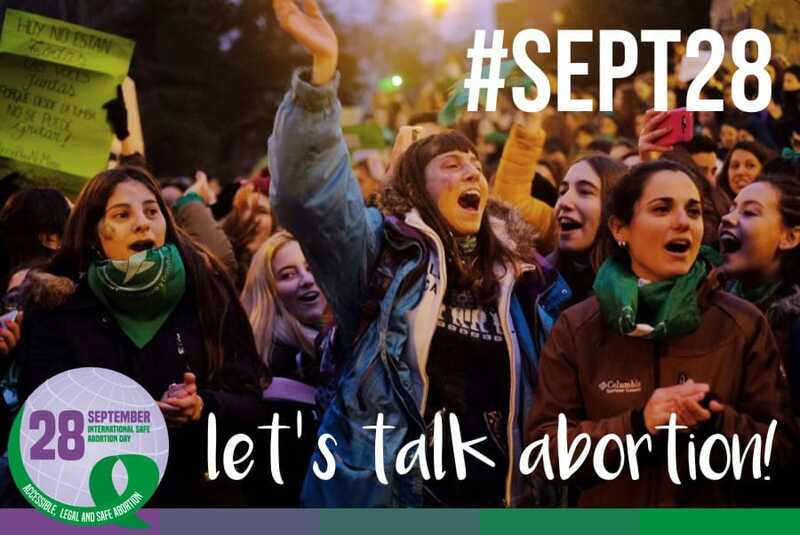 This resource in Spanish from Católicas por el Derecho a Decidir discussed social, ethical, and religious aspects of the debates around abortion. It discusses abortion reform in Mexico, breaks down arguments that equate abortion with homicide, and discusses abortion from the perspective of freedom of conscience and the right to decide. This annual publication from the Center for Reproductive Rights summarizes the jurisprudence from United Nations treaty monitoring bodies on reproductive rights, particularly the standards on maternal health care, abortion, and contraception. This guide from IPPF is designed to help organizations review communications materials that include messages about abortion. It includes “golden rules of abortion messaging” and checklists to review and improve abortion messaging. This paper by the Asian-Pacific Resource & Research Centre for Women (ARROW) discusses the legal barriers, social stigma, and lack of information faced by young women in the Asia-Pacific region. It provides case studies from the Philippines and Pakistan, and monitors developments internationally and in countries in the region. This latest volume of Arrow for Change from ARROW shares diverse voices from the ground speaking out for abortion rights and sharing their lived experiences from countries including Bangladesh, Cambodia, India, Nepal, Poland, and Ireland. It analyses the discourse on abortion as an issue of rights, and bodily autonomy of women and looks at neo-legal, non-legal, and contextual barriers to access to abortion.